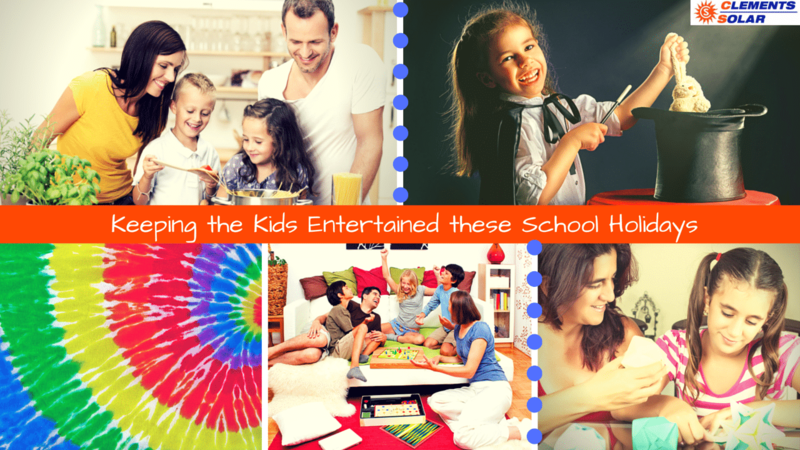 Its every parent’s nightmare – how to keep the kids entertained and the holidays stress-free. We’ve taken some of the hard work out of coming up with ways to make sure your kids aren’t climbing the wall by the end of week one with these hands tips. Tip 1 – Get them in the Kitchen! Get them cooking dinner for the family! There are loads of child friendly recipes that you can make as a family!! Homemade quiche, sausage rolls, or even a family Shepard’s pie!! The kids will love being involved in making Mum and Dad a yummy dinner!! Tip 2 – Family Board Game Night!! When was the last time you sat down as a family and played board games!! Monopoly, Cluedo, or even cards!! Family Board Games are a crowd favourite! Tip 3 – Tye Dying!! Remember the days of tye-dying! Bring it back!! Teach the kids the excitement of making their own tye-dye shirts and singlets! It’s bound to keep them mesmerized for hours!! Tip 4 – Its time for a Magic Show!! Teach the kids some magic tricks, let them practice and practice and even find their own. After Dinner, the show begins!! Let the kids put on a magic show!! Set the kids up with some YouTube clips of Origami ‘How To’!! This is sure to challenge the older ones in a good way! They will love going back to school with a new little trick up their sleeve!